imageWARE Enterprise Management Console delivers a streamlined, centralized point of control for all devices installed across your enterprise. This expandable console reduces the downtime of devices by directing low toner, paper jams, and device maintenance alerts via e-mail messages to the network administrator. 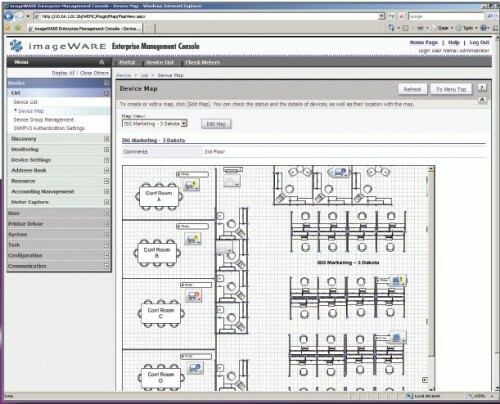 imageWARE Enterprise Management Console offers advanced automated task management including discovering new devices, retrieving/distributing device settings, rebooting devices, retrieving/distributing address books, retrieving device meters, installing/upgrading printer drivers and download font and color profiles. imageWARE Enterprise Management Console is a foundation for future innovation due to its distinctive framework and is designed for easy implementation and simplified expandability.